Occurrence, incident, accident: Can you spot the difference? Every project comes with some degree of hazard attached to the working site. Hazards can take the form of environmental factors at the site, engineering designs of the project or the type of equipment being used for scheduled tasks. From a safety standpoint, the prevention of serious events — from start up to completion of the project — is a measure of success of that project. When a serious event does occur — where a worker has been injured or a piece of equipment has been damaged — the event must be reported to the project management team. It is the reporting of the event that is crucial. The person reporting the event must be able to differentiate what is regarded as an occurrence, an incident or an accident; this is important, especially when determining whether OH&S is to be involved in the reported event. An event is a scheduled or unscheduled task that happens at or away from a work site (A structure is being lifted using a crane). An occurrence is an unforeseen event (The rigging supporting the structure fails). 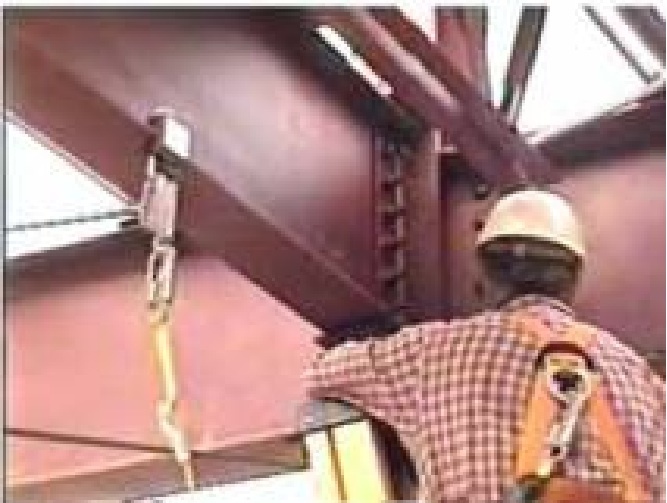 An incident is an occurrence that results in or may have resulted in some loss (The structure being lifted falls, and a beam strikes the crane). An accident is an incident with direct or indirect human involvement (The falling beam that strikes the crane injures the crane operator). The differentiation between the three is in: 1) the degree of severity, and 2) the possibility for reoccurrence. With an occurrence, the degree of severity is low: something happened at a site, the event was reported, no one was hurt and there was no property damage. With an incident, the degree of severity is much higher, but no one was hurt. Near misses fall into the incident category. With an accident, the degree of severity is high with direct or indirect human involvement: someone or something caused the accident, which resulted in someone being hurt. It can be reasoned that all accidents are preventable, only if the human factor has been isolated or removed. The possibility for reoccurrence would be similar for all three if the proper precautions have not been implemented, and this is dependent upon the workers’ and supervisors’ ability to anticipate and plan for possible future event — what are all possible outcomes if that structure being lifted fails and what can be done to mitigate those outcomes? It is very important to differentiate the severity of the event, especially when the event is to be reported to the project management team or safety division. The human mind has been conditioned for centuries to react in a certain way when information is provided. The lack of essential information, or misinformation, regarding the reporting of an event causes the human mind to literally “fill in the blanks”. The first response when an occurrence has been reported is fact-based (What happened?). When an incident is reported, it relationship-based (How are we involved?). When an accident is reported, the first reaction is fault-based (Who or what caused the accident?). Determining the severity of the event can be accomplished only through a thorough investigation of the event, involving site supervision, the safety coordinator, workers involved, and on occasion, the client. This eliminates much of the confusion arising from a lack of information provided, especially when an event is to be reported.